Right before Winter Break, we began to touch upon our study of the elements and the Periodic Table. Now, in 5th grade we deal mostly with chemical equations and how reactions produce products made from the same materials that they started with. So my students are spending a great deal of time looking at chemical reactions, writing equations, and moving molecules around. But mixed in there, the students ALSO need to learn about the elements themselves. So, I wanted to take a little time and show you some of the stuff we have been doing in our room. First, my teammate Susie (The Panicked Teacher....you must visit her site! She has some great things there) got me this AWESOME book for the holidays. The Elements: A Visual Exploration of Every Known Atom in the Universe It really is fantastic. It shows all of the elements and the various materials that they make up. The photos are breathtaking and it is PERFECT for a study on the elements. What's more, my students love it! Thanks Susie! So to start our little journey into chemical reactions, I had the students watch the BrainPop videos on Atoms and Atomic Models. They watched both videos twice. The first time, just to "get it". The second time they took notes in a little foldable we designed. Then, we watched the StudyJams video about Atoms as well (that one is free for everyone). Then, after the little introduction videos and foldable venture (which we put into our science journals), we used this FABULOUS resource from Sciencespot.net. 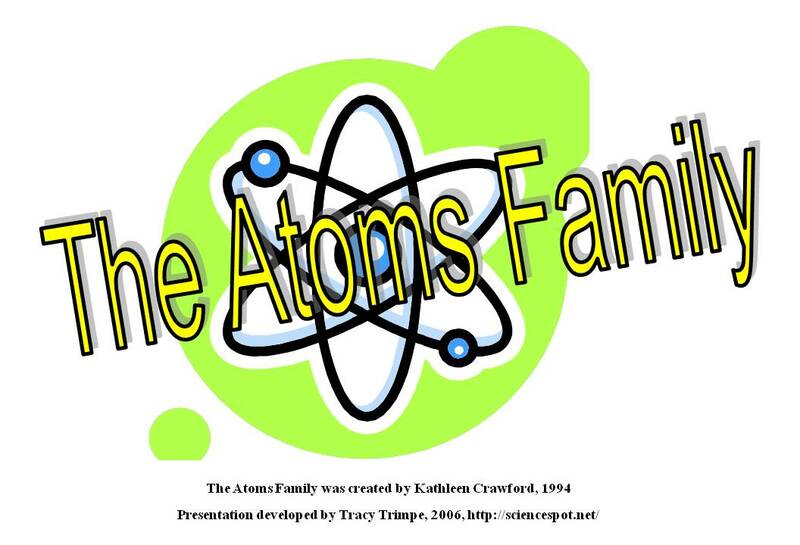 It is called "The Atoms Family" and it is a PowerPoint that you can download for free. Basically, it takes the kids through a made up story of the town of Matterville. There are Protons and Neutrons and Electrons all living there...and it sets up a really cute, memorable story that helped to cement the idea of the atom and energy shells. Their most favorite part of this whole thing was the "Atoms Family Song". It is super cute, teaches about atoms, and the kids couldn't get enough of it! And here is the best part of it all. Over winter break, as a pre-introduction to all of this, I asked my students to create a basic research poster/diorama project for one element, with the eventual goal of creating a class Periodic Table. I assigned each of them an element, gave them a list of requirements, and sent them on their merry way. What came back was fantastic! 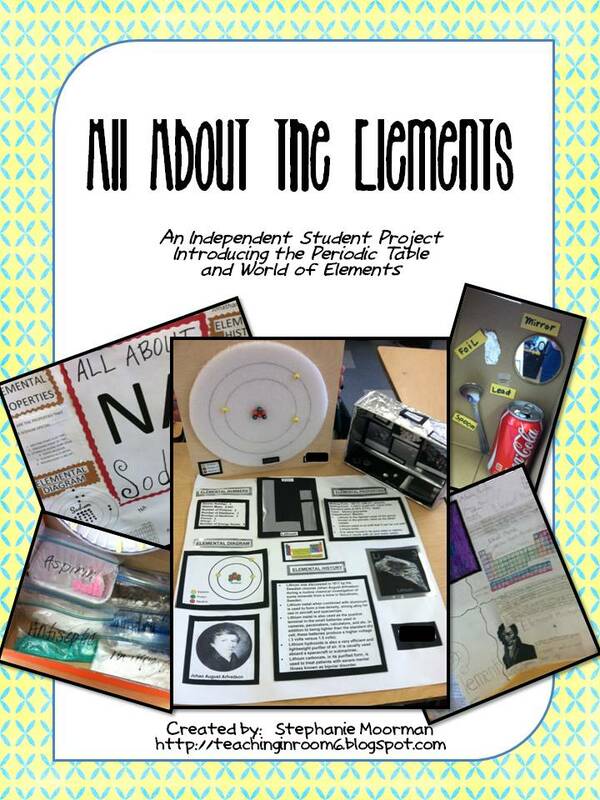 The first part of the project was the Element Poster. The students had to do some basic research about the element they were assigned. Using a requirement sheet I designed for them, the students found out about what made the element unique, who discovered it, the elemental properties, and all that jazz. 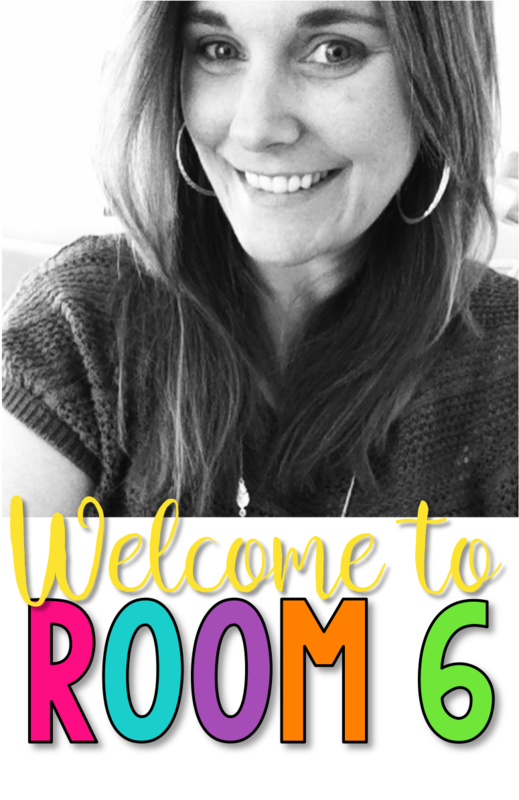 Since this was just an introduction, I wanted to keep it simple...though those students who wanted to go above and beyond were most welcomed to. And some really did! Here are a few of my favorites. The second required section was a diorama box into which a minimum of 5 objects made from that element were to be put. The student were so creative with this, especially those that had elements that were difficult to really pin down. Again, here are a few I really liked. The students were also given a chance for some extra credit. They were to simply build a model of the atom. Again...such creativity! And that is that. This was a completely independent project. I didn't help them (other than cutting the paper) The students did this all on their own, and I was very pleased with the result! If you would like to have your students do this as well, you can get a copy of the project at my TpT store. So there it is...the beginning of our unit. What are some of the things that you do when introducing the elements and periodic table? Usually we get into the Starbase program, but due to budget cuts and our modified traditional calendar, we didn't get to attend this year. This project is just what I need to help me with the hands-on aspect of the physical science unit. The Periodic Table of Elements is so overwhelming. I love the way you break it down and make it meaningful and applicable to every day life. I actually haven't reached this point. This is my first time teaching this unit, so I would love ideas! Thanks! This is my first year teaching 5th grade science after having taught 6th and 3rd grade science. I am very excited to use this resource - thank you so much for all of the hard work you put into the things you share! This is my first time in 5th grade and I want to thank you for all your wonderful ideas that you share. I am a follower and "borrow" many of your great ideas! I will definitely be doing what you shared already. I love the idea of creating a life size periodic table. I think bringing in a mystery item and listing some of it's elements would be a good way to initiate the unit. Have the students make guesses on what it could be based on what it's made up of :) Thanks for all your awesome ideas! At this time we do not teach about the periodic table. I like using BrainPop for the students. Those finished projects look AWESOME, Steph! They must have one fantastic teacher!!! (and YAY - Kristen won the pack!!!). Wish it was part of my science curriculum so I could "borrow" this fabulous idea! Excellent ideas! I start out with a copy of the table of elements that students glue onto their Science notebooks and they have to tape as many samples as possible within a week (or pictures) so that they have time to do some research on their own, get help from parents (always a good thing to include them in learning), and to collect notes form class. I have used the "Matterville" slideshow as well and the students love it...this year we actually acted it out :) and it came out fantastic. 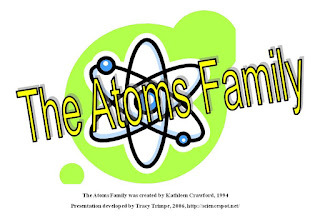 The students sang "The Atoms Family" song as they were physically moving around the room acting as the actual parts of an atom. We recorded this and will include it in an iMovie I make for them as a gift for the end of the year. I include pictures, videos, bloopers, and a good-bye along with music and burn DVDs for each student. I just stumbled on your blog and have been going through old posts for over an hour now! You clearly are an amazing teacher! This is my first full year teaching science and social studies for grades 5-8. I spend so much time trying to find fun activities to enhance lessons instead of simply relying on the book. It is so amazing that you have so many ideas and examples in one place! 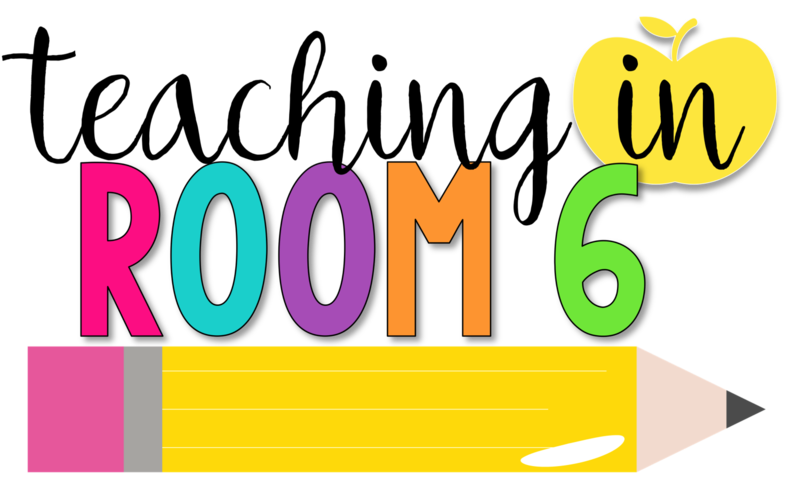 I know that I will be using your blog throughout this school year!! Hi! 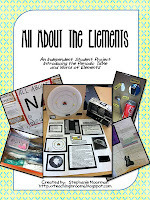 Do you still have the Elements project available in your TPT store? I can't seem to find it! Thanks!